Two days after Union Minister S S Ahluwalia said neither Prime Minister Narendra Modi nor any government spokesperson had given any figure on the casualty of Balakot air strikes, the Congress Monday asked the Prime Minister to come out with the truth on the number of terrorists killed. "Modi-ji, your central government ministers are stating that TV channels' news is fake, stating that the prime minister never stated that 300 terrorists were killed during the Balakot air strike. Is this true? If no, the prime minister should tell the truth. 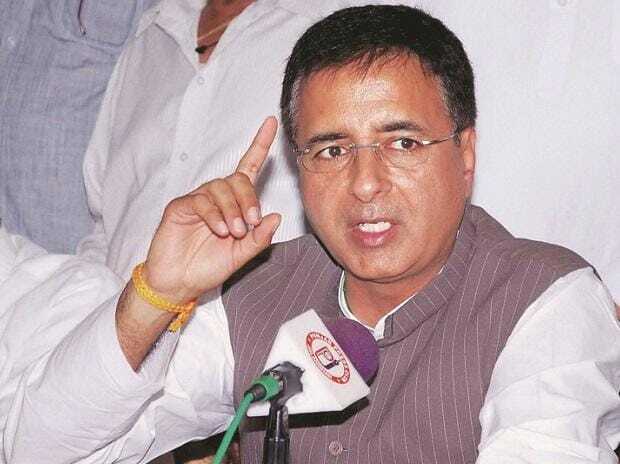 Regards, citizens of country," said Congress spokesperson Randeep Singh Surjewala in a tweet Monday. Minister of State for Electronics and Information Technology, S S Ahluwalia, said Saturday in Siliguri that neither Modi nor any government spokesperson had given any figure on the casualty of air strikes. Rather, the Indian media and social media users were circulating an unconfirmed figure of terrorists killed, he said. "I have seen reports in Indian media and international media and also what Modi-ji had said. After the air strike, there was a rally by Modi-ji and he didn't say anything on the casualty figures. I want to ask if Modi-ji, or any government spokesperson, or our party president Amit Shah has given any figure?" he asked reporters in Siliguri on Saturday. The Darjeeling BJP MP's comments come in the wake of West Bengal Chief Minister Mamata Banerjee questioning the Modi government over the air strike. Banerjee on Thursday demanded evidence of the pre-emptive strike on Jaish-e-Mohammed training camps by the Indian Air Force. She also said the opposition parties want to know the details of the operation.